So this is the last post for my 30 day challenge. It was a lot of work but I’m really glad that I did it. Not only did I lose a few pounds but I really got a chance to explore and work on my blog in a whole new way. It helped me set deadlines for myself and set up a schedule in order to get things done, something I’ve always struggled with. The month managed to inspire me and make me fall in love with this blog all over again. I have every intention of continuing to post daily but you are going to be seeing some new features and themes during the week. When I first started this project I envisioned it to be about more than just recipes. Focusing on experiencing more out of my life, creating and learning was my intention so I’m going to be exploring those ideas here a bit more. I also have been trying to simplify and streamline my life and personal space so we’ll be talking about that more also. Thanks so much for taking the time to read the blog and I appreciate all the encouragement you’ve given me. See you on Monday! 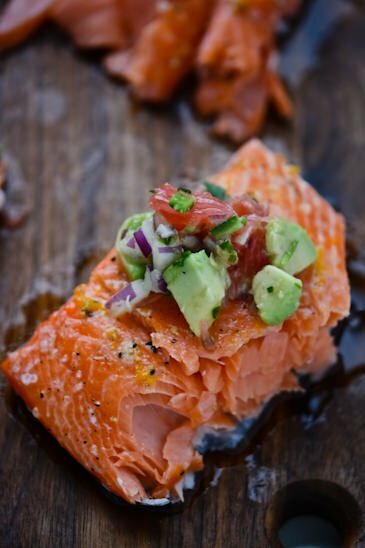 Here are all thirty recipes for you to explore as you please! Click on the links for the full post! 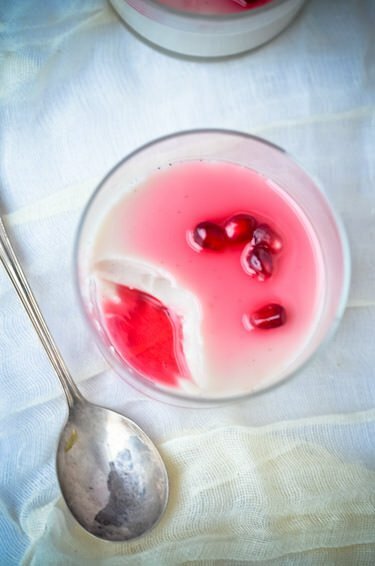 Light and refreshing, this can be served as a light salad course or even for dessert. The shitakes really satisfy those cravings for meat without being too heavy. I’ve make this one a few times and I can never get enough. This without a doubt was the most popular recipe of the thirty. Super easy to make and everyone loves it. 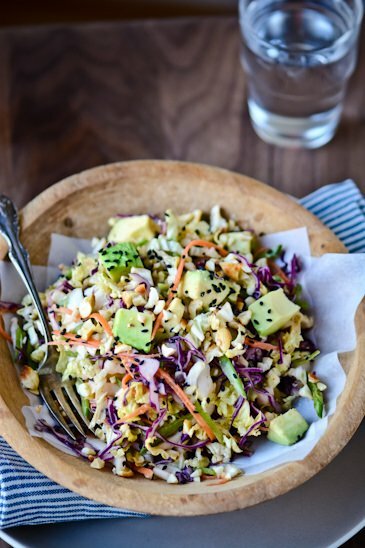 Crunchy cabbage, creamy avocados in a sweet, spicy peanut dressing. This is the one thing that I keep coming back to. I’ve made 3 batches this month and I love having it as an after dinner snack with some sliced apples. 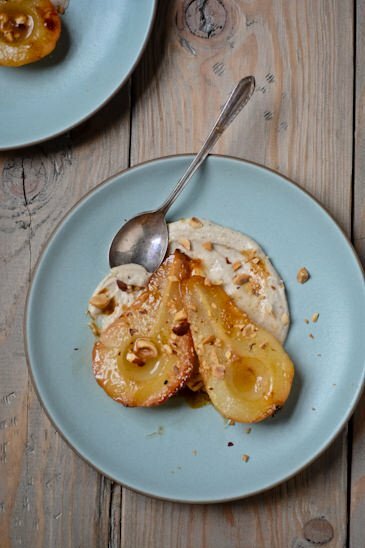 It’s like having dessert for breakfast and who wouldn’t love that? 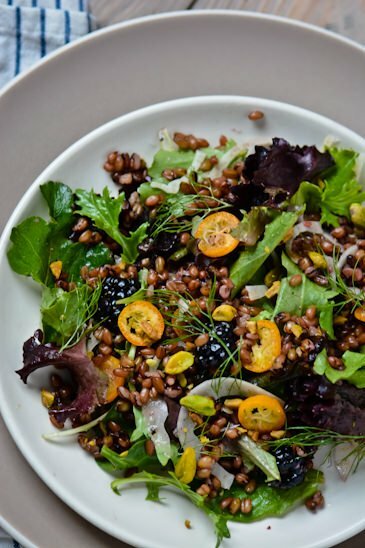 The freekah makes this salad super filling and satisfying and the blackberries and kumquats are a nice tart contrast to the grains. 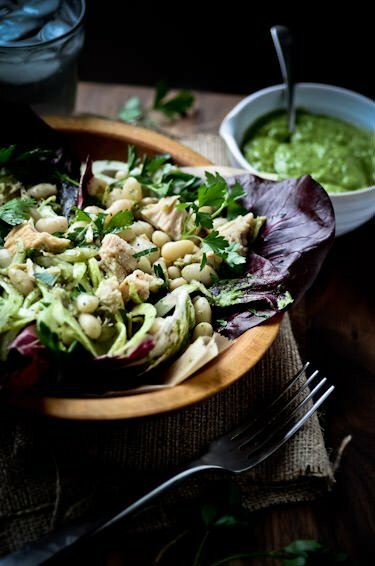 Delicious and filling with the white beans and tuna, I love the herbaceous dressing. I kept attacking the cashew cream with a spoon every time I opened the fridge. 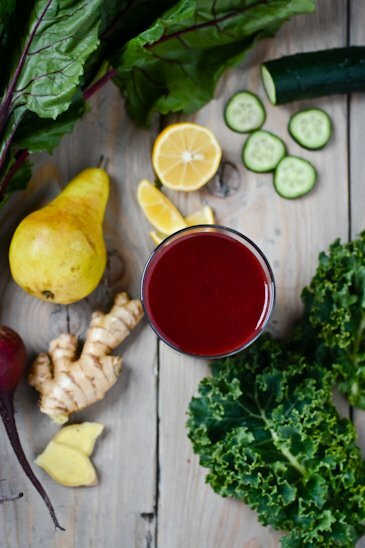 Beets are surprisingly sweet when juiced and the color is to die for in my opinion. 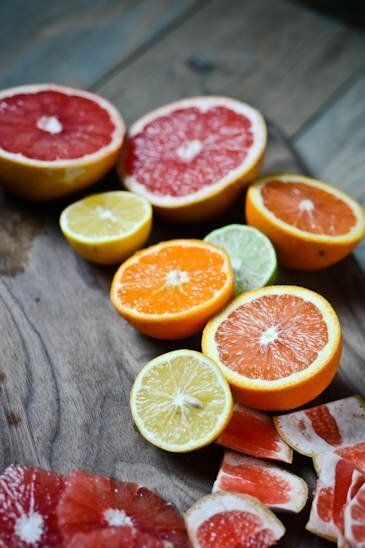 A juice in the morning really gets me energized without weighing me down before a workout. 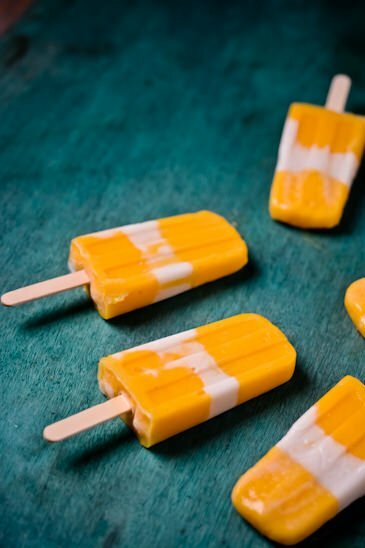 Have a taste of summer anytime of the year with these tropically inspired popsicles. 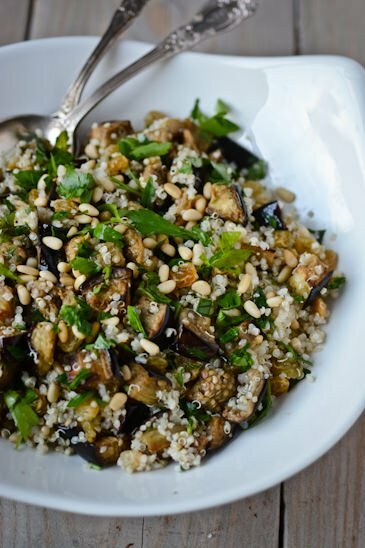 Super easy to make and vegan! 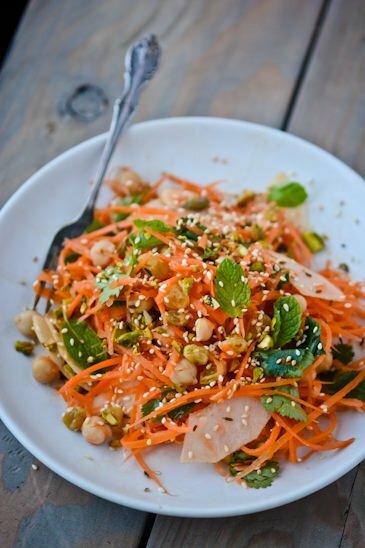 Super healthy and a meal the whole family will love these noodles are a snap to prepare. 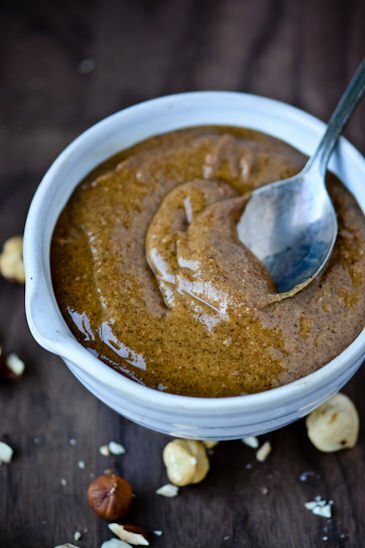 Another recipe highlighting my beloved hazelnut butter. 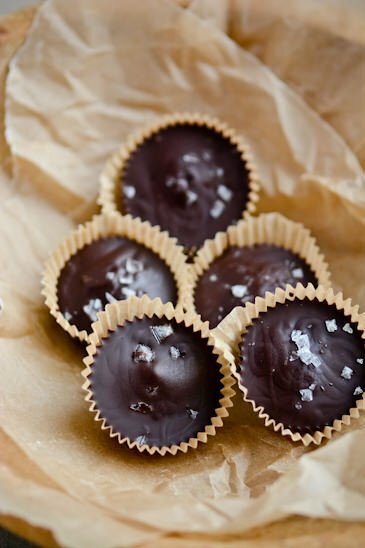 Rich dark chocolate and creamy hazelnut butter tops a Reeses anyway! 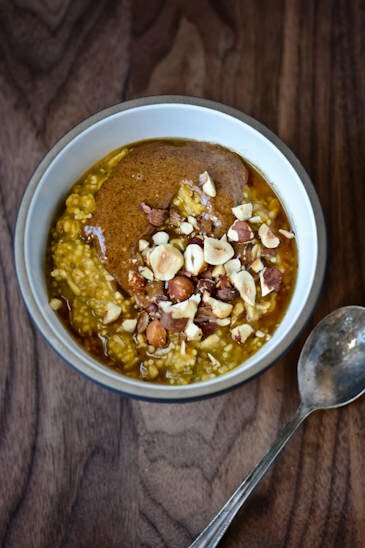 The addition of peanut butter is what makes this soup unique and gives it a rich creamy taste. 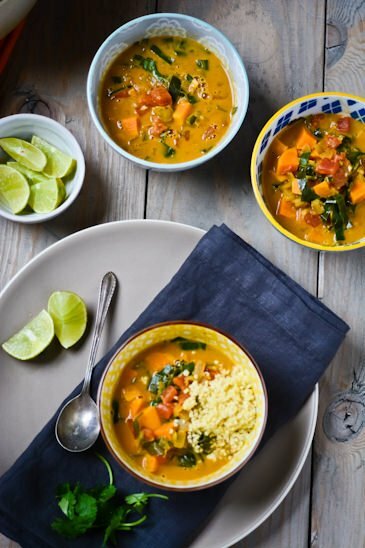 One of my favorite vegan soups! Only 7 minutes in the oven and you’ve got breakfast on the table. 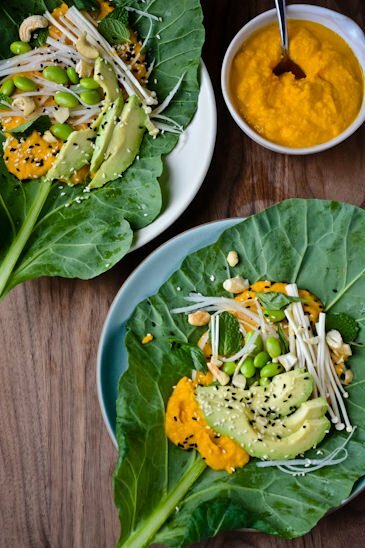 Cutting the parchment is the most challenging part of this super healthy dish! 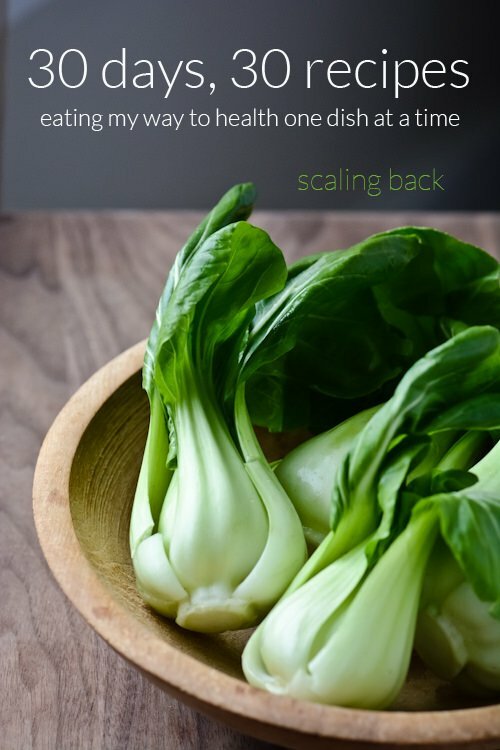 The perfect snack for after school and it only takes minutes to prepare. 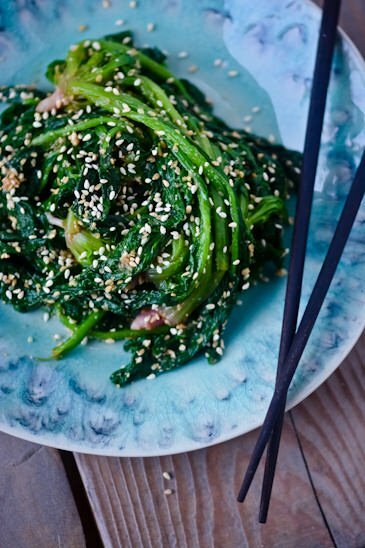 If you have a spinach hater in your family you have got to try this dish. 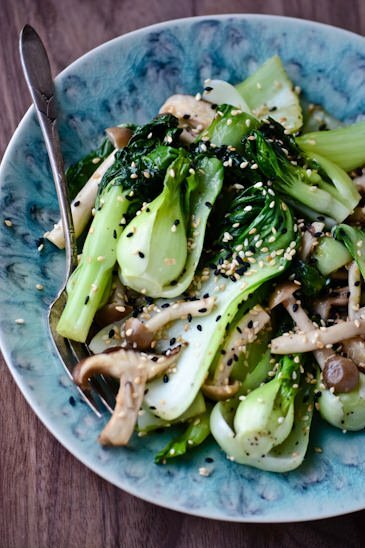 Sesame seeds are ground into a paste and combined with soy sauce, vinegar and a little bit of sugar. Serve it over rice and it’s a complete meal! I’m never cooking oats again since I’ve discovered overnight oats. 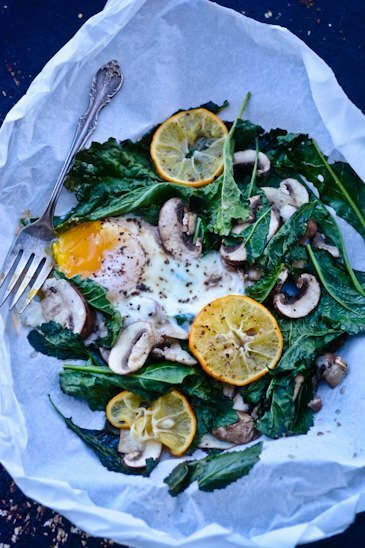 Super easy and no excuses for not having time in the morning for breakfast! 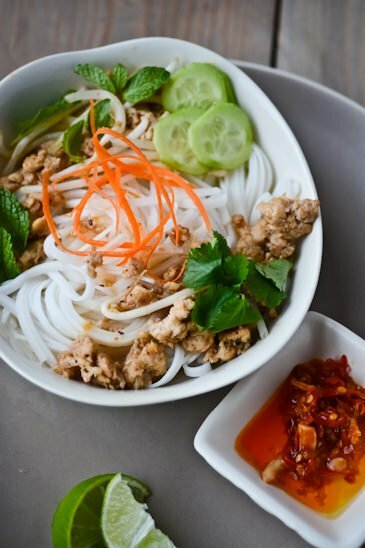 A super easy dish that’s delicious hot or cold! I was surprised at all the love that this little snack recipe got. 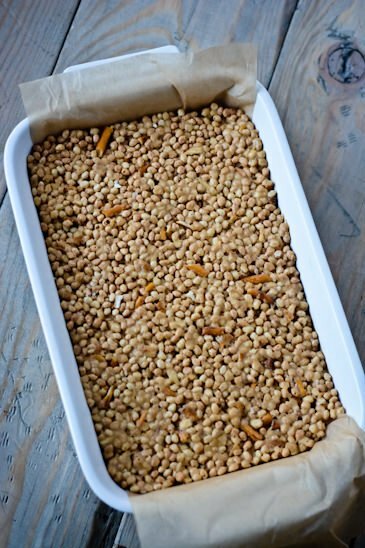 Only 5 ingredients to your own healthy energy bar bites! 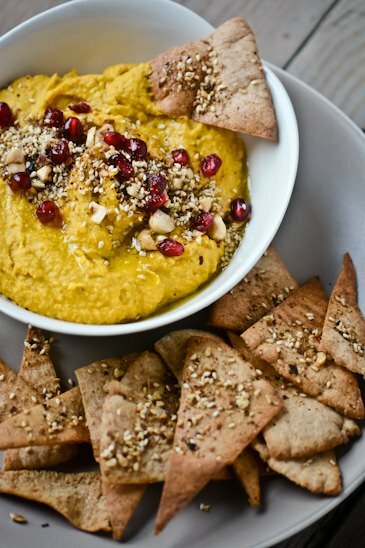 The dukkah and pumpkin make this a unique version of hummus that’s big on flavor and low in fat. Lighter than traditional fish curries, this dish was super delicious with the addition of lemongrass, ginger and garlic. 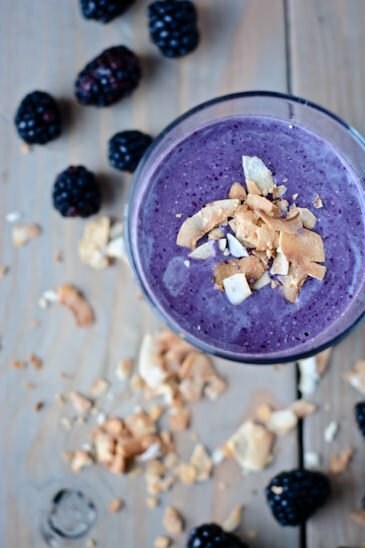 Toasted coconut adds a little twist on an otherwise simple smoothie. Added chia seeds ups the protein content as well. 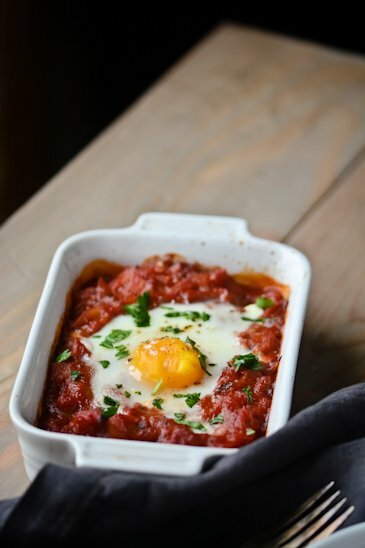 Eggs baked in a spicy tomato and pepper sauce is perfect day or night. Only a few ingredients and a few minutes on the stove and you’ve got a delicious dessert that everyone will love. 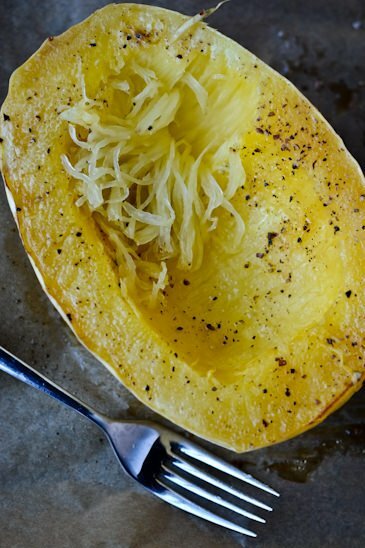 A lighter version of my favorite pasta dish, roasted spaghetti squash is a great replacement for traditional pasta. 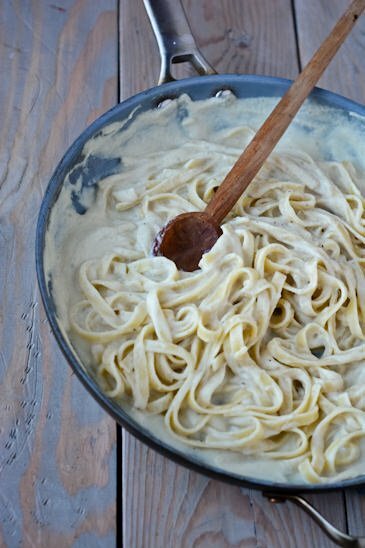 I’ll never use heavy cream again after discovering this pasta sauce made with roasted cauliflower and shallots. 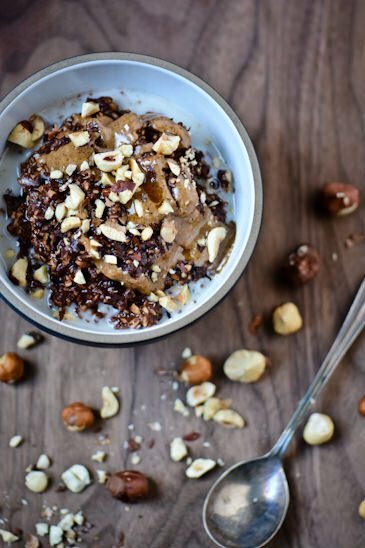 It tastes super decadent but it’s light and healthy! It was a great month and I’m so glad that I did it! Thanks for checking out the recipes! 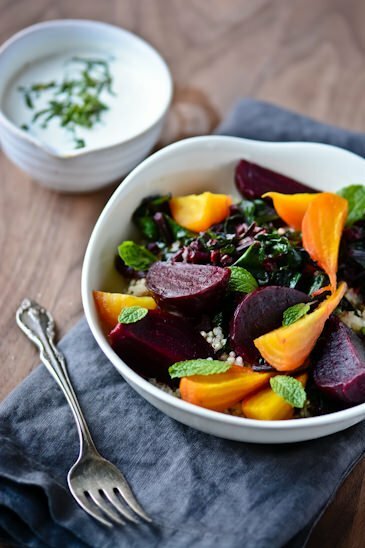 I absolutely love your blog, your writing style, pictures and more importantly the recipes. I landed on this from a google search and now am a regular follower. 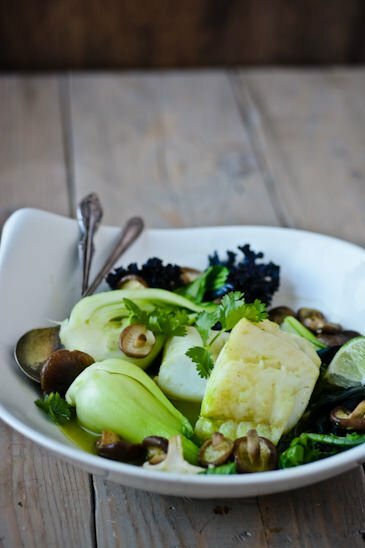 Congratulations on your 30 recipes challenge! Everyday I eagerly waited for your recipe post! Great job! I’m so glad your enjoying the blog. I’m so glad I set the challenge for myself, it was a lot of work but it really allowed me to fall in love with blogging again!